I found some images I had stamped/ printed. This one is a digi stamp from the Crafters Companion Angelica and Adam double CD rom. I coloured the image with Copic pens and die cut it with a Spellbinders die. I cannot remember who made the Dad stamp but I stamped it onto some printed paper. 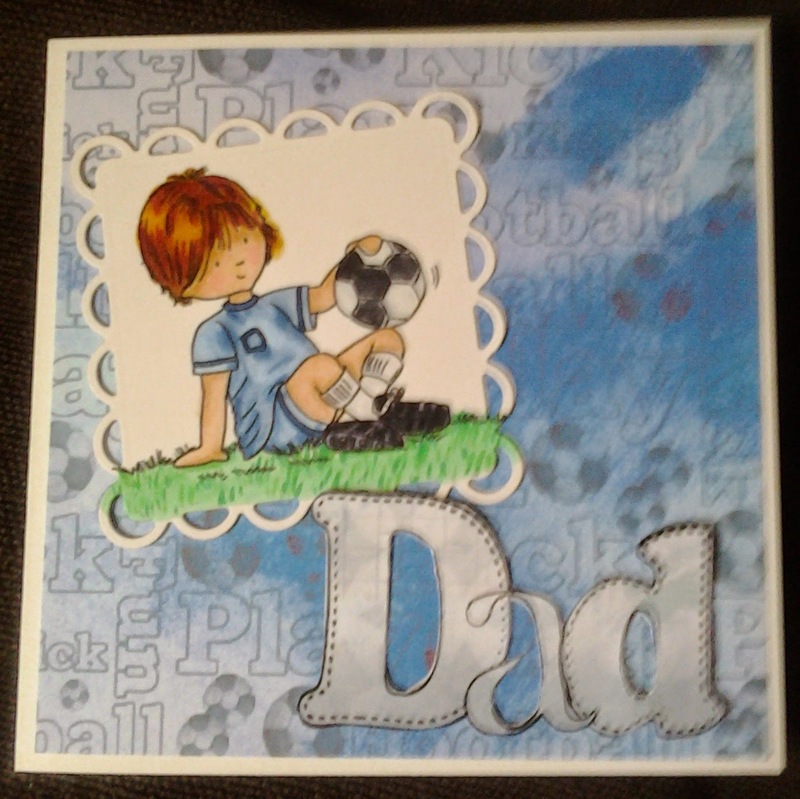 I layered some football backing paper onto a white card blank then added the stamped pieces. Such an adorable card. Thank you so much for entering our ATG challenge at Through The Craft Room Door this week. Looking forward to see you again next challenge.